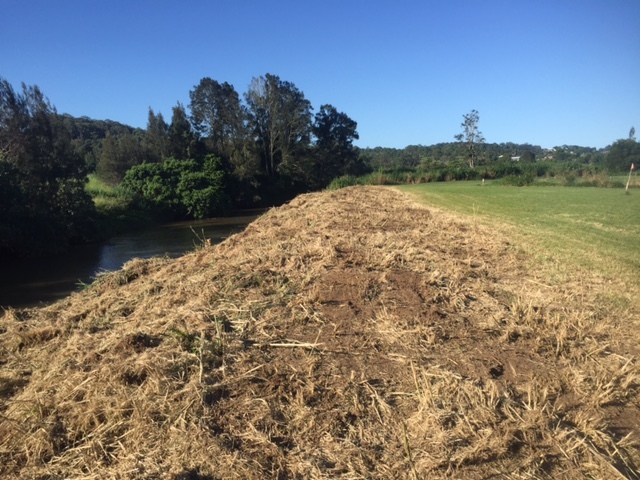 This job in the Nambour area had some of the worst Elephant Grass we’ve seen. It was high (almost 20 feet in places) and really thick. Our all-terrain mower took to it like a hot knife through butter. It wasn’t really a fair fight to begin with. 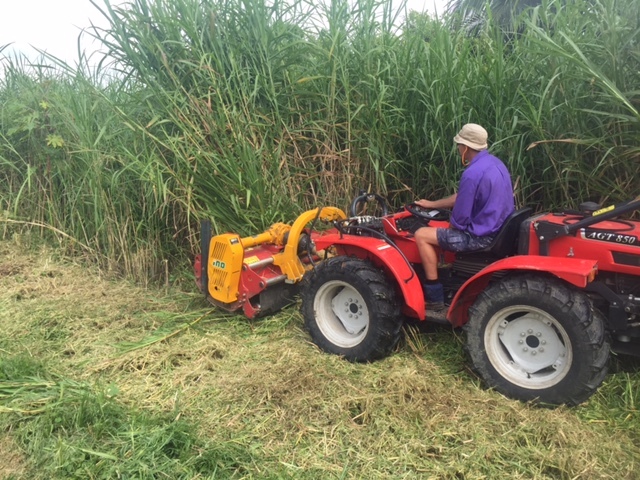 Our flail mower is designed to cut through thick and nasty grasses – there’s not much we can’t do. To finish the job, we sent in our excavation mulcher to get to all the fiddly bits. 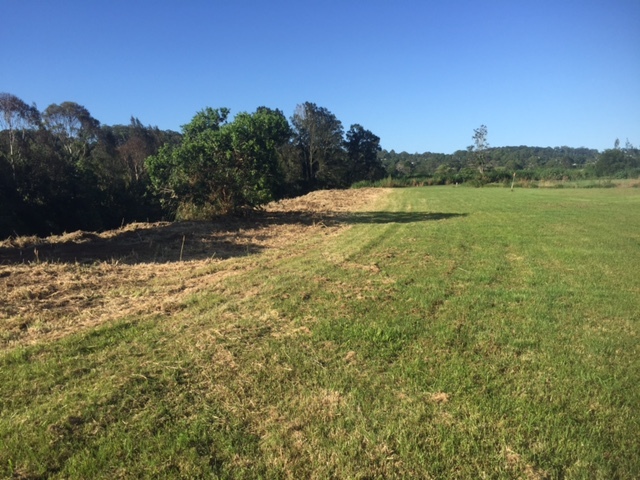 The property owners have now reclaimed around an acre extra of useable land. It’s not a bad result because the starting point was practically a jungle. 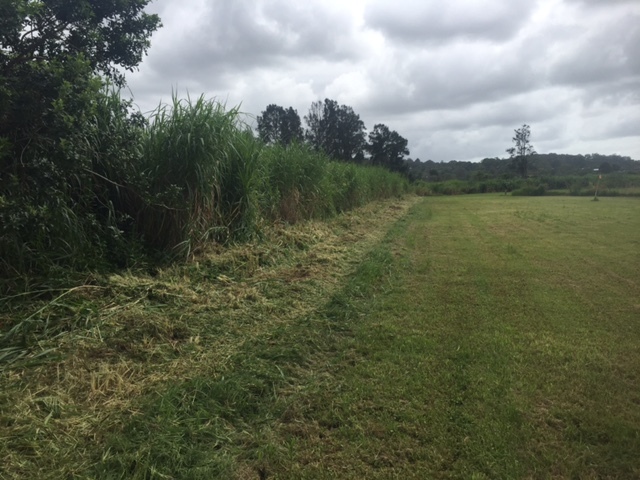 Here are some of the before and after shots from this Elephant Grass removal job. You can see how high this grass is and also how good the finish is. No windrows, just a perfect mulch. Another view of before and after. 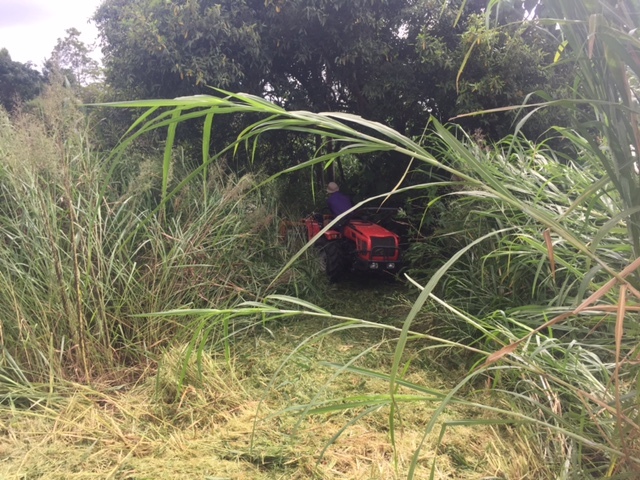 Elephant Grass – even the tall stuff – is no match for our machines. Damo, our driver is in there somewhere. The after shot. 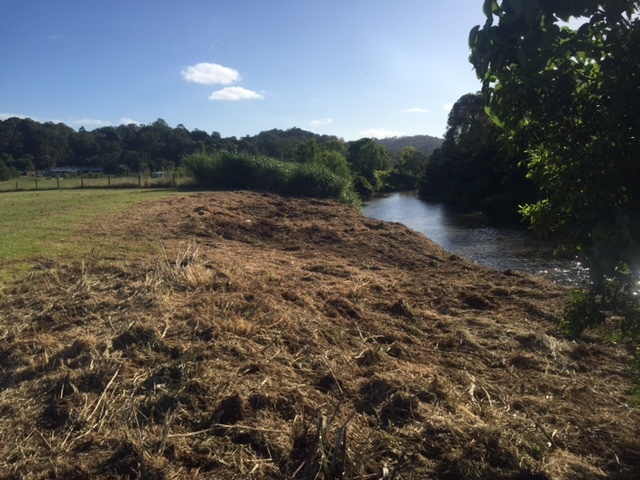 The grass is all gone and this land will once again be useable. Another view. The owners wanted to enhance the view of the creek. 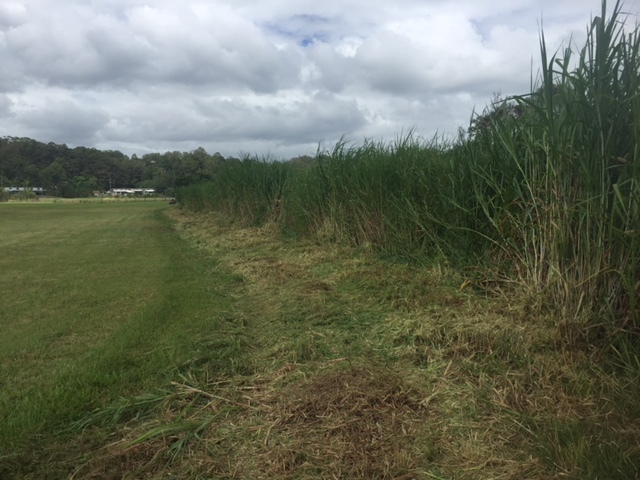 If you have Elephant Grass that is out of control and you live on the Sunshine Coast, then please call us on 0490 045 805 for a free quote. 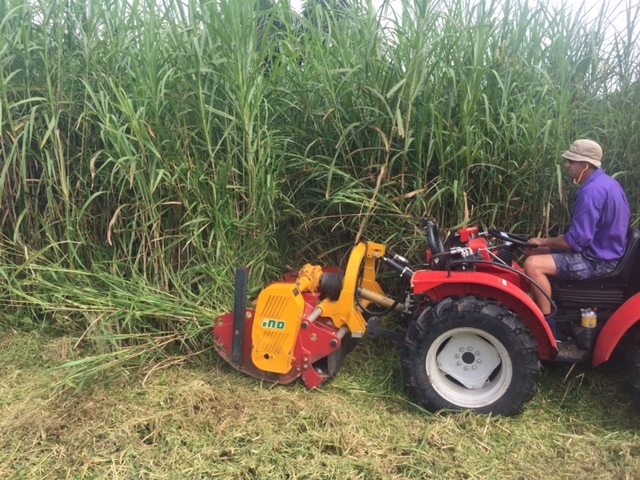 We have a range of specialised machines that can cut through the tallest and thickest grass in the area. You can book a free site inspection over here.